The kids are nearly back at school and if your kid is a first timer there’s a few things need to know about what goes on at school on your kid’s birthday. Back in the days when I went to school, a birthday on a school day was not really anything special. The most we could expect was to get the bumps. This would be from a few kids that half dropped you, so that you ended up with yet another scab. Things have definitely changed since then and they continue to do so. There seems to be an ever increasing need to celebrate in style and the kids (or parents) are not going to let a little thing like school stop them. Even 6 or 7 years ago children may have expected to be sung Happy Birthday in their classroom and get a sticker, but that was it. Teachers may or may not be led by school policy on what they can and cannot do to celebrate a pupils birthday, but of course some schools are more relaxed than others. It may be a teacher has a special box full of little treats they’ve purchased from a pound shop. This can include rubbers, toy dinosaurs, pencils etc inside. The birthday girl or boy will then get to choose a little gift as their birthday treat. They may get to wear a sticker or a special birthday hat for the day, and will of course be sung Happy Birthday. Parents have for some time now started bringing in bags of sweets for their children to share with the whole class at the end of the day. This has come in over the last five or so years and is usually a bag of Haribo’s, lollies or treat size chocolate bars. Of course there’s always some parents who want to go further than anyone else. If you have kids at school you may have witnessed cupcake wars in the playground. 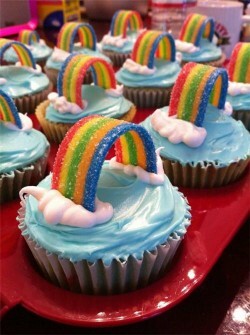 Parents dutifully glide into school with cupcakes embellished with increasing fanciful decorations. These, the parents insist were made by their ‘little precious’ and they have definitely not been up half the night perfecting them! There have also been complete Birthday Cakes brought in and even requests to bring in ice lollies! There are a number of schools that are putting their foot down or at least giving guidelines as to what you can and cannot do for your kids on their birthday. Some schools may say that birthday cakes should be cut up in advance and handed out by the parents themselves at the end of the day. Of course parents should be aware the most schools do have no nut policies and so should only bring in nut free treats. The best thing to do is to check your schools individual policy. Some schools now have a no Birthday treat policy and can be quite strict about it. ‘******* is a ‘healthy school’ and as such we do not allow sweets, chocolate or cakes to be brought into the classroom. This includes birthday cakes. The class will celebrate your child’s birthday by singing ‘Happy Birthday’. Basically it’s best to check your own school’s or even teacher’s policy on birthday treats. There is no obligation when you have a child to bring any sweets or treats to school on a child’s birthday. You may be swayed by pester power from the kids but it’s probably best to avoid cupcake battles as you’re only a winner until the next kid’s birthday! 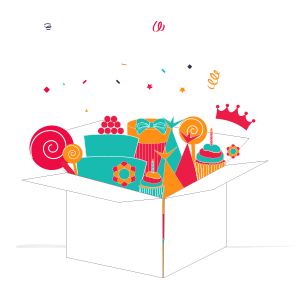 The BoxedUpParty blog offers great ideas for party games and advice for your kid’s party. 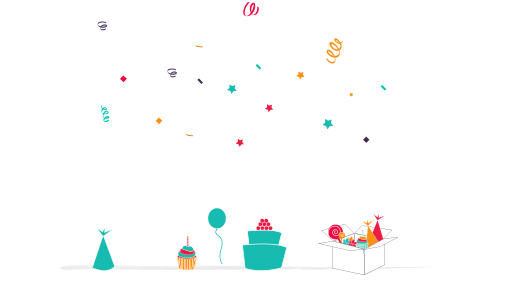 Our website also lets you buy a kid’s party really easily with great themes and products. Enjoy!